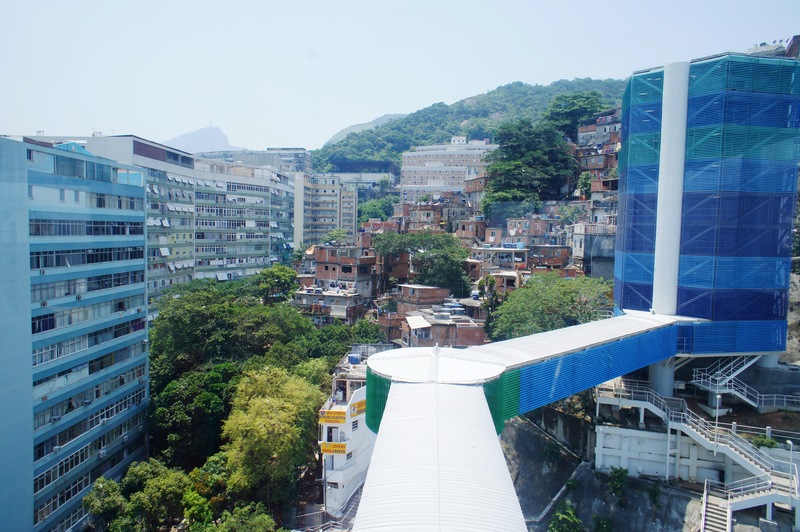 Will the city’s more accessible and safer favelas be a laddered version of Santa Teresa, with funky pizzarias and tapas bars, cool sidewalk music and superb views? Will many of their residents, land titles in hand, have sold up and moved to Guaratiba, Santa Cruz or Rio das Pedras? Will the city then continue divvied up into pockets of the like-minded, with funkeiros, hipsters and Country Club members each snuggling in their comfort zones? 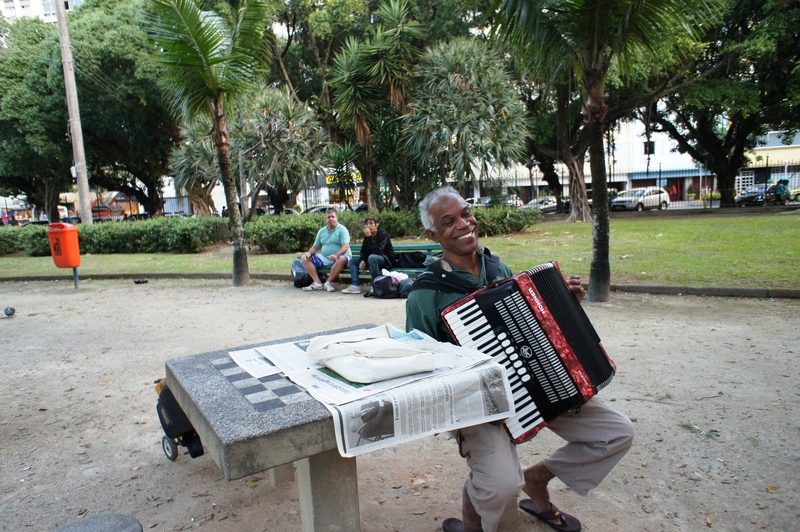 Or will Rio manage to maintain and feed a rich mosaic that draws us across zones and through tunnels into the sort of chance encounters that spark creativity and light up lives? Urban myths abound. One is that zero tolerance for broken windows and the like helped to revive New York City. Another may be that land titles empower the poor. A pioneer land titling effort in Rio’s South Zone Cantagalo favela is examined in a book published last year by Paulo Rabello de Castro: Galo Cantou: A conquista da propriedade pelos moradores do Cantagalo [The Rooster Crowed: The conquest of property by the residents of Cantagalo]. In order to begin the titling process, a team of young volunteer lawyers had to convince Governor Sérgio Cabral to change the state constitution. 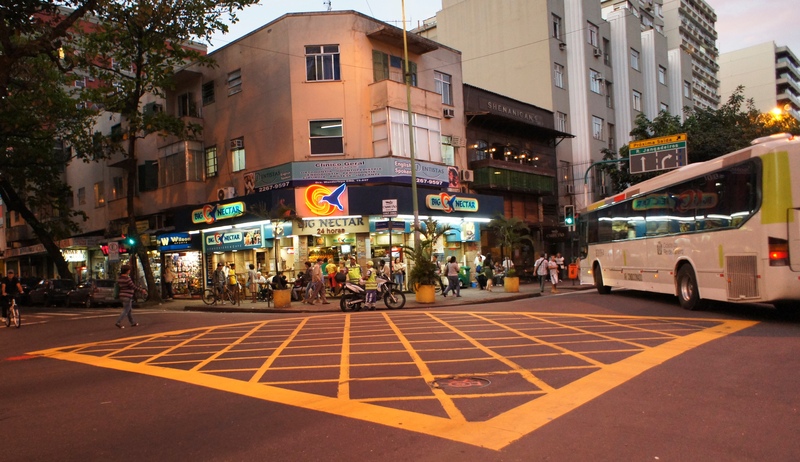 Comprehensive land titling is now the policy of both Rio’s state and city government, following a precept first stated in the 1980s by Peruvian economist Hernando de Soto. He said that a deed brings access to credit, information and other benefits of the formal market economy. So it was a bit of a shock recently to hear favela advocate Jailson de Souza, longtime resident of the North Zone Complexo da Maré, talk about how to prevent gentrification. “The last step should be land titling,” he said, adding that favela residents need time to gain the economic, cultural and educational wherewithal to keep their homes. De Souza said he supports the creation of “cultural spaces”, utilizing Rio’s 1992 APAC (Áreas de Proteção de Ambiente Cultural) model, which focuses on protecting physical buildings. In Recife, zoning has been a fairly effective mechanism to protect low-income housing from speculation, according to Brazilian lawyer and urban planner Edesio Fernandes’ Lincoln Institute of Land Policy Report, Regularization of Informal Settlements in Latin America. Fernandes cites a study saying that a Special Zone of Social Interest, known by the Portuguese acronym ZEIS, with “… limits on plot sizes, building heights, and number of plots allowed per individual, can significantly reduce development pressures in newly regularized communities when used in conjunction with titling programs”. In some Latin American cities, policymakers tried to limit the transfer of newly titled property by requiring approval from residents’ associations or banning sale for several years (the case with Minha Casa Minha Vida apartments). Such schemes, says Fernandes, have merely led to new types of informal transactions. Soon to be overtaken by events? Perhaps to the advantage of those who agree with de Souza, in Rio a large-scale titling process is expensive, bureaucratic and slow, with only a handful of favela residents in possession of a deed so far. Meanwhile, favela rents and property values are rising fast, construction is booming, a growing number of foreign residents may constitute a vanguard, and gentrification is clearly taking place in parts of the formal city contiguous to pacified favelas. Nevertheless, not much debate is taking place. Of course, gentrification doesn’t (so far) much affect areas such as the North Zone’s Complexo do Alemão. But the South Zone’s income mix, fed by proximity to beaches, is arguably at the core of the entire city’s vibrant lifestyle that is so attractive to both natives and visitors. And in an era when we live so much in the virtual world, a vibrant urban lifestyle is a unique and terrible thing to waste. Back in the 1960s, some Americans were concerned about the fate of those being pushed out of low-income neighborhoods. This is when the Community Land Trust (CLT) model was created, with a commitment to “balancing individual and community interests”, according to the Community Land Trust Handbook. The key issue in creating a land trust model is how to preserve some degree of market value while protecting a community from real estate booms or speculation, or both. Is this possible? One of the oldest community land trusts was created in 1984 in Burlington, Vermont, reportedly to protect parts of the city from a booming weekend home market (spurred by wealthy New Yorkers). An impact study has revealed long-term positive results. There, the trust (i.e. the community) intermediates purchases and sales. Owners can earn 25% of the increase in value that occurs between the time they buy and sell a home. The study found that owners did accumulate wealth while affordability was preserved. The percentage could be adapted to the Rio market. Land is treated as a common heritage. Title to multiple parcels is held by a single non-profit owner that manages these lands on behalf of a particular community, present and future. Land is removed from the market at large, never resold by the non-profit owner. Land is put to use, however, by leasing out individual parcels for the construction of housing, the production of food, the development of commercial enterprises, or the promotion of other activities that support individual livelihood or community life. Structural improvements are owned separately from the land, with title to buildings held by individual homeowners, business owners, housing cooperatives, etc. A ground lease lasting many years gives the owners of these structural improvements the exclusive use of the land beneath their buildings. The Vermont trust emerged with government and activist support, and a municipal grant to help it get started. Of course this is just one example, which could be adapted to different environments. And there are other frameworks being used to prevent gentrification in the U.S. and other Latin American countries. Over the years, the Vermont trust has developed a variety of housing and community roles linked to its original mission. To set up structures along these lines in Rio de Janeiro would require an enormous amount of patience, idealism, and determination. So many values and assumptions would need to change. 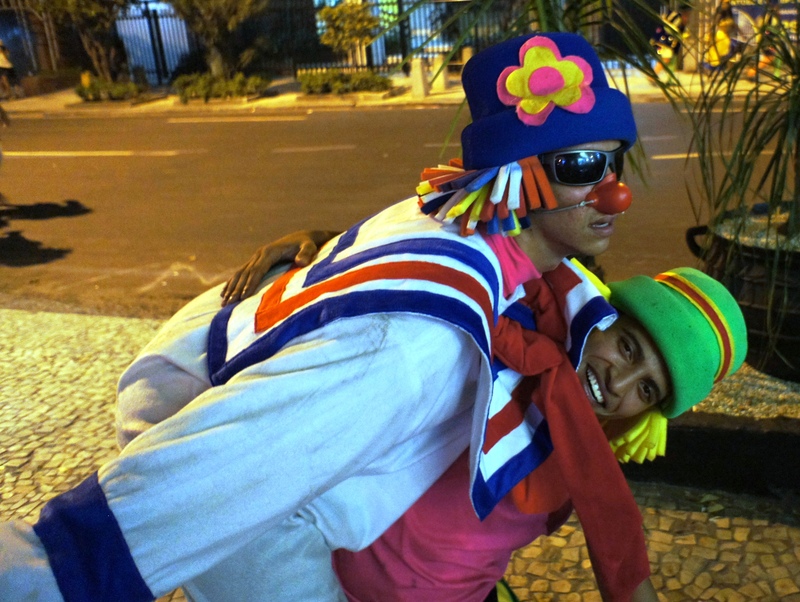 Community participation, once strong in Rio favelas, but undermined by drug traffickers, would have to pick up steam. And policymakers would have to rethink a generally top-down approach. Also, rules are needed for collective decision-making– and they must be widely observed. “Economic pressure to bypass such rules and sell plots informally became widespread in Mexican ejidos located near fast-growing cities, thus undermining the original community goals,” Edesio Fernandes reports. Gentrification is only one of many issues challenging Brazil’s unequal, autocratic and classist society. Rio’s turnaround is part of a larger picture, in which millions have left poverty over the last decade, to an unprecedented extent gaining access to information, markets and virtual networks. Little of this is reversible, and it implies huge long-term changes in attitudes and behaviors. Now is the time to create arenas for community participation and the legitimization of institutions and laws. For democracy is a process, slow and painful, and there are no alternatives. “If people who are really interested in preserving the community “on the hill” are serious, they have to find mechanisms to empower the community independent of the state, politics and the private sector,” says Robert Wilson, founder of Startup Rio. Wilson, who’s working on a venture capital initiative to prevent gentrification of favelas, suggests a comprehensive program whereby residents would learn how to own, control and administer the land and buildings in their communities in partnership, and to generate revenue individually and collectively. Matias Sueldo wrote about gentrification for his newly-earned Yale Law School degree, completed in conjunction with a Masters in Public Administration at the Kennedy School of Government. He suggests that Rio consider either government concessions for land use with limited transfer rights, or titling with strict zoning regulations. “Either way,” he adds, “Rio’s titling policy needs to be re-thought before gentrification drives some of its oldest and most vibrant communities to society’s margins”. 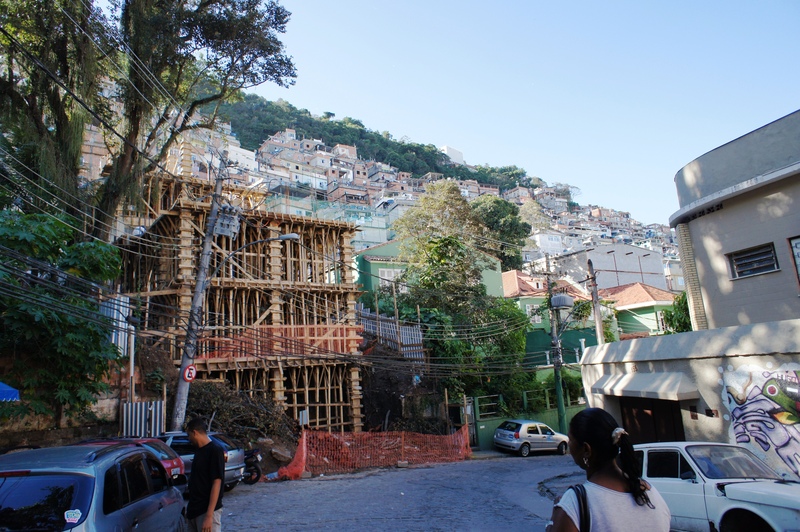 Theresa Williamson, who founded the favela advocacy non-profit Catcomm, notes that Rio’s favelas, the product of decades without regulation or zoning legislation, are problems becoming opportunities. “Ultimately these neighborhoods provide affordable, well-located housing, each different from the other with unique manifestations of cultural and architectural development,” she says. “A Community Land Trust model would allow each communities’ assets to be determined, strengthened and consolidated”. What do you think? Please share, and leave comments below. 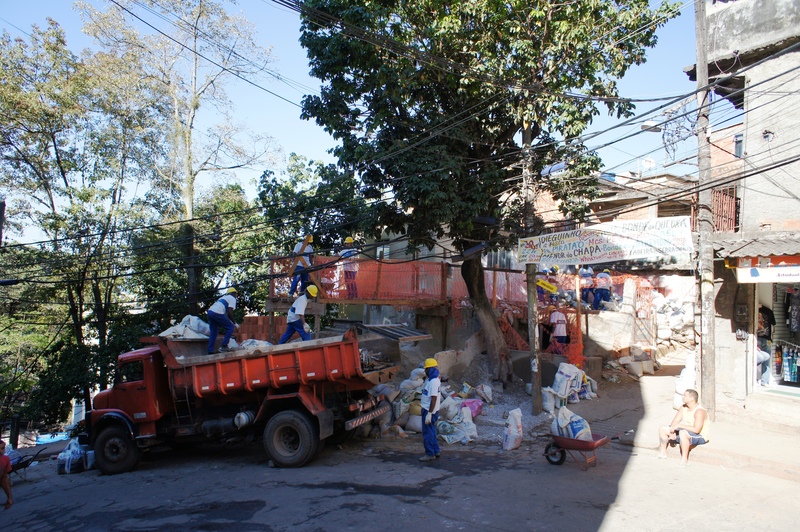 This entry was posted in Brazil, Transformation of Rio de Janeiro / Transformação do Rio de Janeiro and tagged Community Land Trust model Rio de Janeiro, Edesio Fernandes, gentrification Rio de Janeiro, Hernando de Soto Rio de Janeiro, Matias Sueldo, real estate Rio de Janeiro, Robert Wilson, Theresa Williamson, ZEIS Rio de Janeiro, zoning Rio de Janeiro. Bookmark the permalink. Thoughtful and thought-provoking as always. Hope the policy-makers read this. Gentrification is happening as we speak and may outpace efforts to maintain affordable housing. Perhaps part of the strategy should include a way to “reverse title” in the future if certain conditions are violated. I am no Pure-Portuguese extremist, but why gentrificação and we have enobrecimento? Extending the argument, why eco-bags when sacolas recicláveis would help the environment more? And finally, is bullying in our schools more serious than violência escolar? I wonder how much giving new names to old issues affect the way the issue is perceived. And if it does affect in any substantial way, who is to benefit from the change? David, we are all already paying for the infra, it’s starting to happen. Zoning and community participation are indeed key to the future of the city and policymakers should be thinking about these. As for value, favela homes already are part of an informal market. A Community Land Trust would be a mechanism to formalize it. A council made up of community members, perhaps including some outsiders, would regulate and mediate this new protected market.